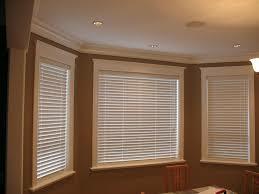 Faux Wood Blinds are often referred to as Timber or Wood and are durable and budget friendly. They are made from an innovative polymer, making them impervious to moisture and resistant to warping, cracking and peeling. 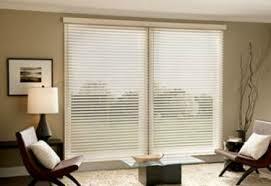 While they work well in a wide range of climates, they are not recommended for windows that experience extreme heat. Their available angled slats provide exceptional privacy, light control and insulation as well as their steel headrail and superior components help keep these custom window treatments homeowner friendly. Available in a wide range of colors and natural wood tones along with several operating systems, Faux Wood Blinds or Venetian Blinds are an easy choice for anyone wanting to duplicate the rich, upscale lustre and warmth of real wood blinds. Grain and smooth finishes offer both superior insulation properties as well as simple light control solutions. 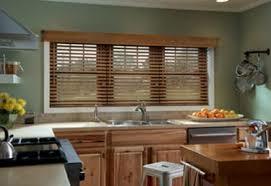 Custom Sizing with Faux Wood Blinds has never been easier. Contact DC Shutters for Faux Wood Blinds in Brampton, Oakville, Kitchener, Waterloo, Hamilton, Niagara, Toronto, Richmond Hill, Aurora, Newmarket, Ajax, Whitby, and Oshawa.